Before I begin to write my story, I must tell you that this journey was very personal to me. 5 years ago I left Raja Ampat, West Papua, a place that I hold dearly and consider my home. Now after 5 long years and a long feverish night at Puncak Jaya, I am back. I first came to Raja Ampat in 2011. At the time I was a university student full of fresh ideals and was on a social trip to Sauwandarek and Yenbekwan island, located in Raja Ampat. After 2 memorable months living with strangers who have become family to me, I made a promise to the universe that someday I will return. I had little to no expectations, but perhaps the universe listened to my promise and decided that I would indeed fulfill it. And now, 5 years later, I am back to fulfill that promise. I met up with my dear friend, Rima, who was also with me in Raja Ampat when I made that promise to return, 5 years ago. Rima and I went to the same university, but studied different majors. She was an international relations student, who is currently more inclined to study Sociology, and I was a communication sciences major, with hopes of becoming a writer or a journalist. 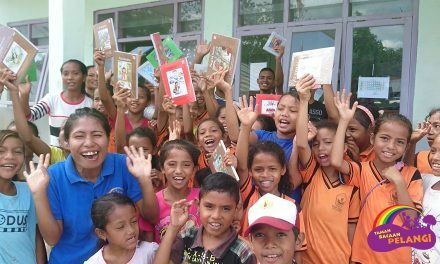 My mission in Raja Ampat was to help build two new Rainbow Reading Gardens libraries. We have been trying to extend our reach and establish more libraries in the region. This time we aimed to open two libraries simultaneously. Initially, I thought we were being too ambitious, but seeing the large support from everyone, it didn’t seem impossible to execute. 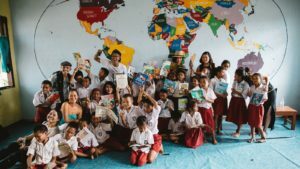 We planned to open a library at the 25 Moko State Elementary School, and 2 Waisai State Elementary School, the oldest and largest elementary school in Waisai. We were very lucky to meet a lot of people who gave their unconditional support in every way they could. The cost of transportation throughout my stay was helped by Bapak Mambraku who lent me his motorcycle for free. In the beginning of my trip I stayed at a hotel. But as the costs of accommodation kept piling up, I was helped by Tante Zhally Mambrasar who offered me to stay at her house. Rima and I were so moved by the kindness and support that continued to pour from strangers who wanted to help Rainbow Reading Gardens’ cause. 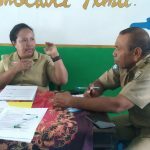 Through Tante Sally, I was able to meet with the head of the region’s education office, Ibu Martha, who then introduced me to the head of the Raja Ampat regency, Bapak Abdul Faris Umlati. When he greeted me, he immediately knew that I was Bataknese. Turns out, his wife is also Bataknese. 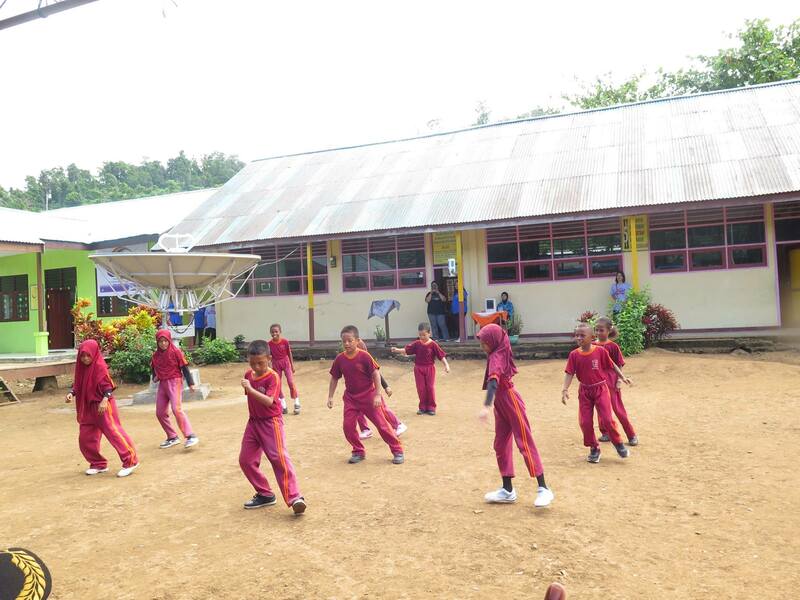 Bapak Syaiful Sangaji helped us to get in touch with the principal of 2 Waisai State Elementary School, who was a bit difficult to contact due to an illness. He also helped us look for a place to stay. 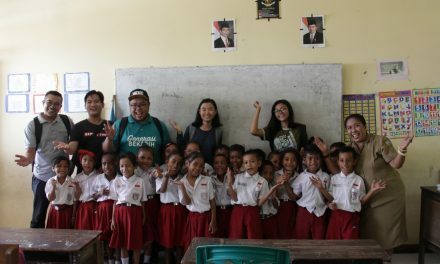 Bapak Herman Soor, who was like an uncle to us, not only helped the process with the education agency but also provided me with so much food. Whenever I was hungry, I would always pay him a visit. Hahaha, I’m such a foodie. Bapak Inda Arfan and Bapak Samuel Belseran who are in retirement have also gone out of their way to help me. Thank you so much Bapak. I hope that you both are healthy and doing well. After a long and exciting process, the two new libraries have finally opened. 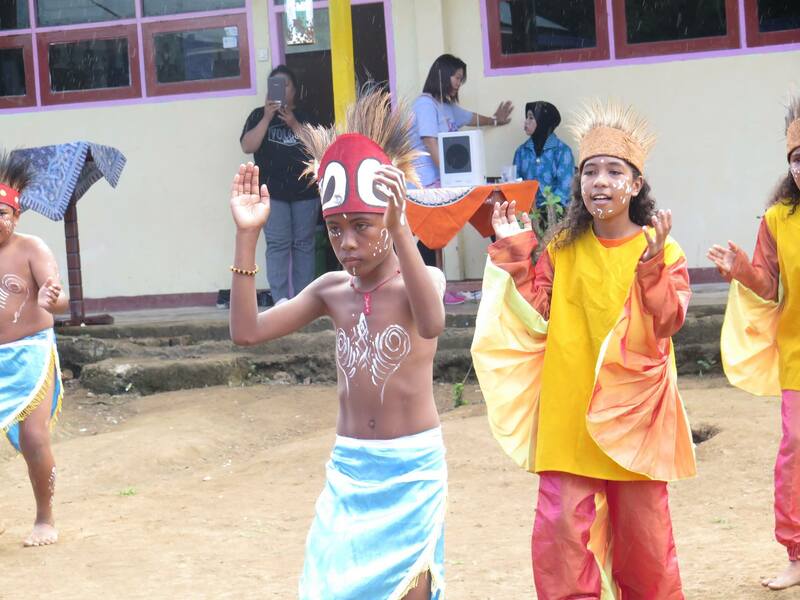 Both schools held a very merry and elaborate opening ceremony, attended by the principals, school staffers, students and parents. 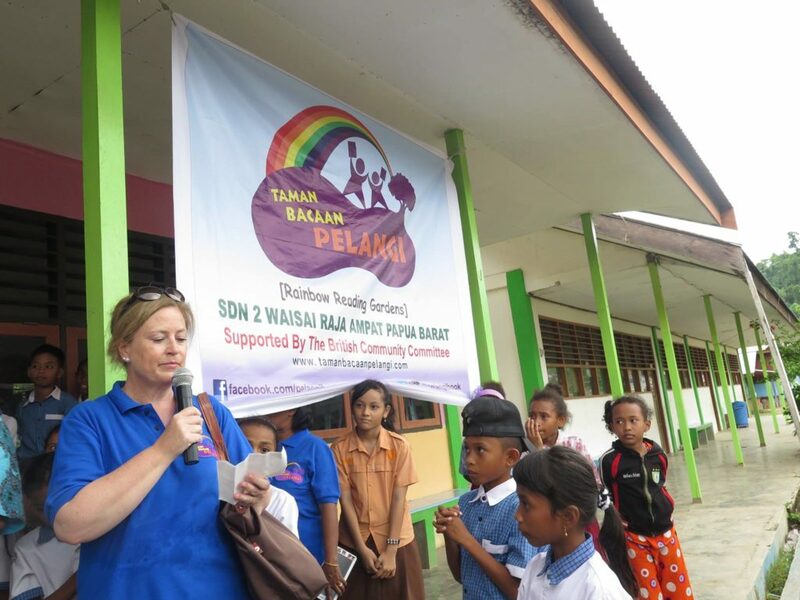 The British Community Committee helped sponsor the 2 Waisai State Elementary School, and Ibu Rachel Malik, the wife of the British Ambassador to Indonesia, also attended the opening ceremony. 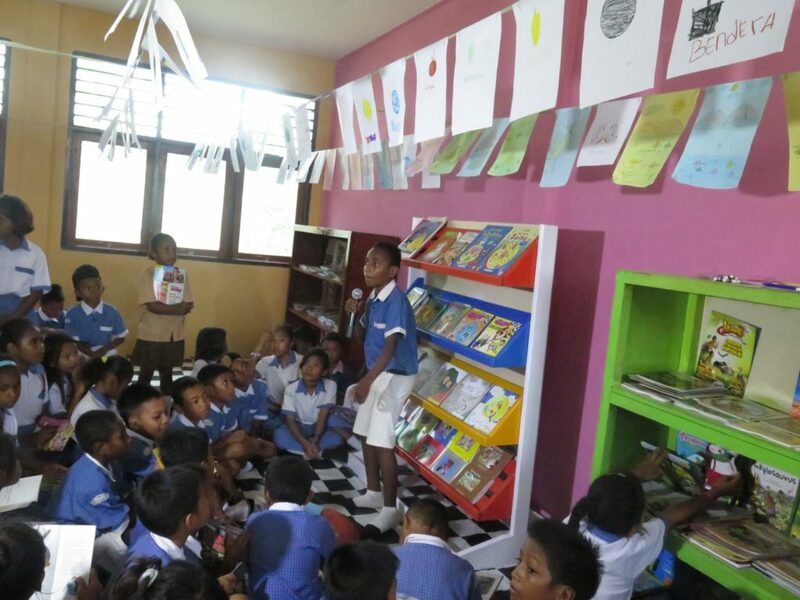 The opening ceremony of both libraries were held on the same day, starting with 25 Moko State Elementary School in the morning and 2 Waisai State Elementary School at noon. 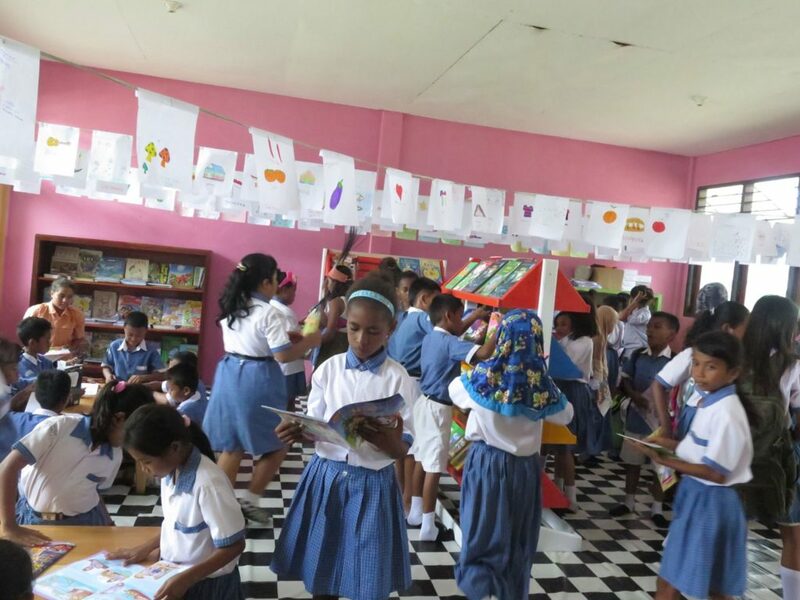 Although it rained, the students still celebrated the opening of their new libraries with much enthusiasm. 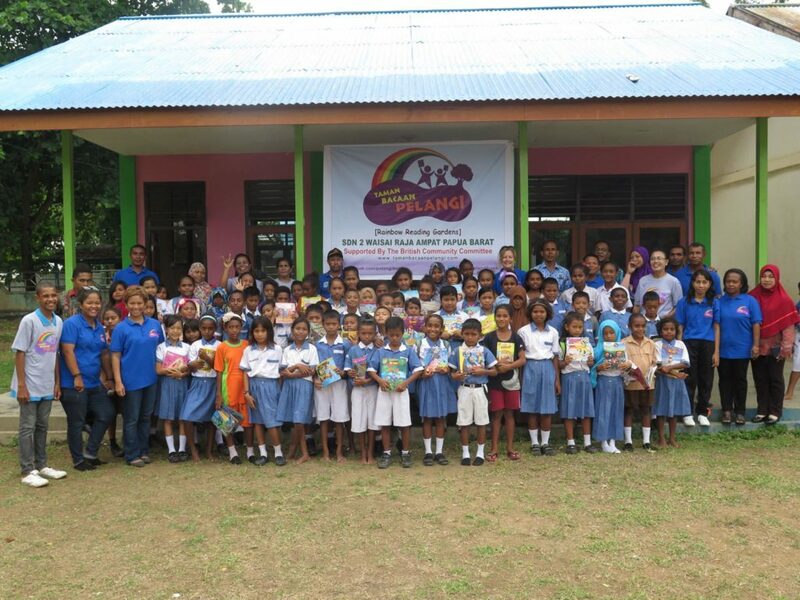 Now Rainbow Reading Gardens has established 39 libraries in Eastern Indonesia and we are not done yet. 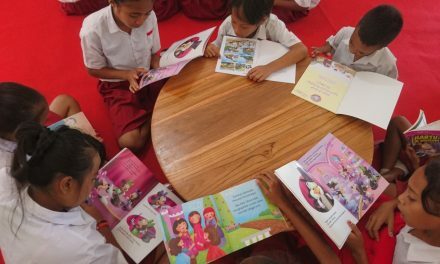 We will continue to reach out to remote areas of Eastern Indonesia and nurture children’s interest in reading by providing access to good quality books through our libraries. 2 rainbows have now decorated Waisai and will continue to shine. My return to Raja Ampat has become a very valuable tale in my life. 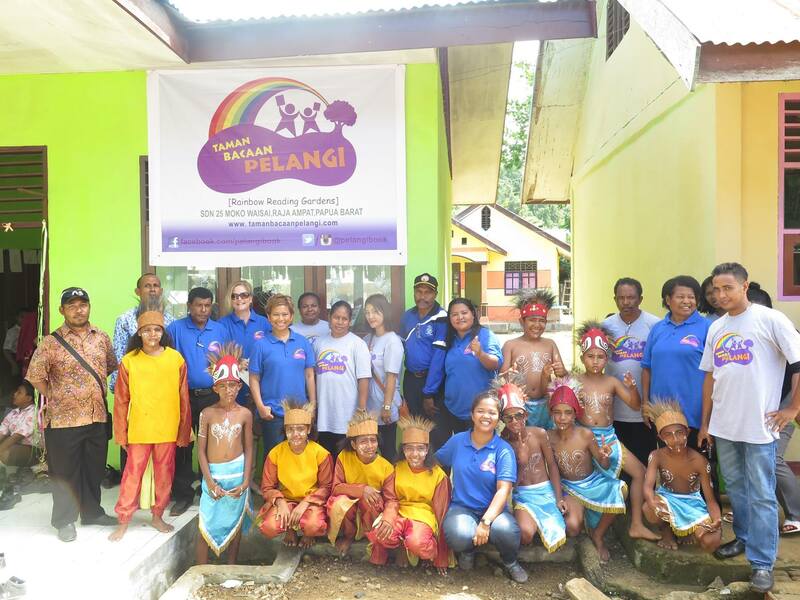 I hope that more rainbows will continue to reach other parts of Papua. Those words will serve as a reminder for me to never stop delivering simple happiness to children in need. 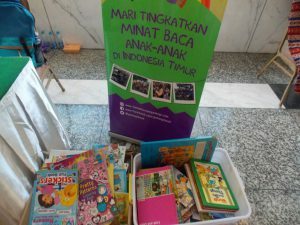 The happiness that is provided by children’s libraries and the story books it contains.